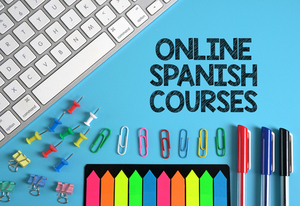 Online Spanish Courses Launch Today! Learning Spanish on your own can be hard. Without a teacher or classmates you can lose motivation. You have no-one to check you are on the right track or check you are pronouncing words correctly. You feel overwhelmed with how many resources there are and don’t know which will work for you and which won’t. You don’t have the time to research resources or try out different activities that may not work. 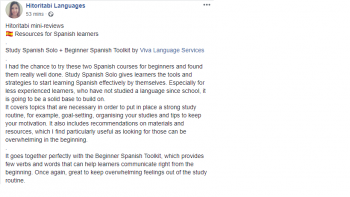 This is why I decided to create online Spanish courses to help people who are learning on their own because the truth is YES, YOU CAN LEARN SPANISH ON YOUR OWN! 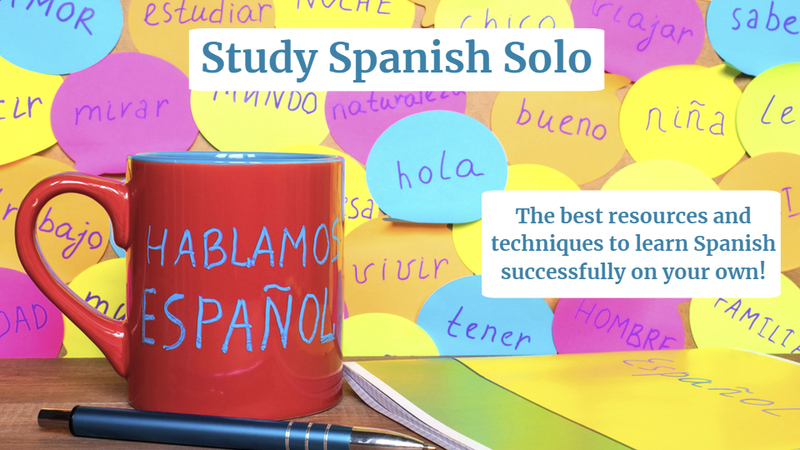 Nearly two years ago I started sending out samples of my signature course “Study Spanish Solo” to clients who were already studying Spanish with me or had just started learning Spanish. This was not only helpful to them, but their feedback regarding what they liked, what they didn’t like and what they wanted added to the video lectures was very useful for me too. • WHICH resources, websites and apps are the best without hours of research and trial & error. Cheat sheet to speak like a native. All sections come with a workbook to make notes and log your progress once you start using the resources, websites and apps recommended during the lectures. The beauty of this type of course is that you can go back to the lectures time and time again when you want to try different resources plus you will have access to all future updates. Enrollment is only open for a limited time – 7 days only! 1) Click this link which will take you to the sales page. 2) Scroll down to the blue box of the course you wish to enrol in; “Download ‘Study Spanish Solo’” or “Download Beginner Spanish Toolkit”. 4) Click on “Enroll in course”. 5) Choose which payment option you prefer. Then enter your information. Then you will instantly receive an email with access to the course. 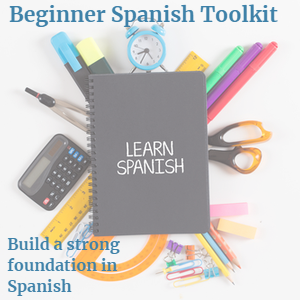 You may also be interested in this mini course “Beginner Spanish Toolkit” which fits nicely alongside the main course “Study Spanish Solo”. It equips absolute beginners with everything they need to get speaking Spanish straight away. By learning the most common words used in everyday conversation you will be able to communicate your needs and wishes in Spanish immediately. This course will help you build a firm base in Spanish, helping you to progress more easily to more advanced levels. Or why not purchase both courses together with the BONUS Course Bundle for better value! This way you will have everything you need to get on the right tracks fast with your Spanish learning journey. 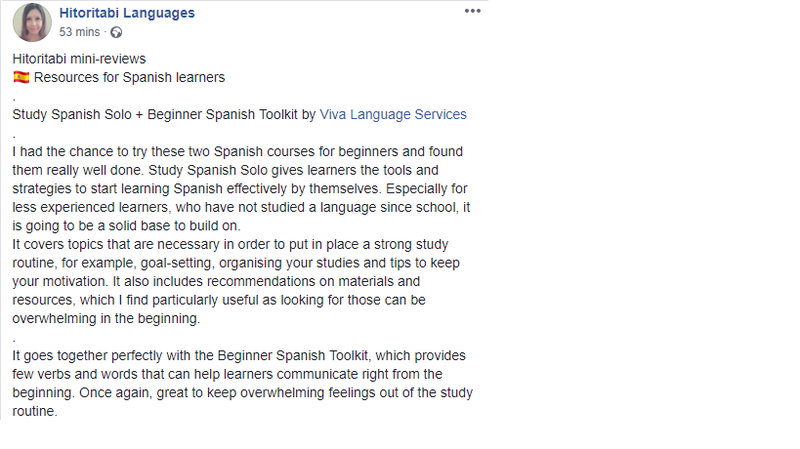 Most of all, I am excited that I will be able to help even more people to learn Spanish which is a fantastic language to learn and to be able to use. It is one of the most popular languages to learn these days, opening up many doors to people both personally and professionally. 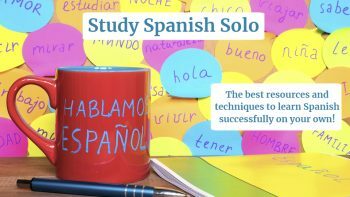 I know that many people do not have time to attend an evening Spanish class or they find group situations too daunting or they perhaps cannot afford private tuition. With technology today it has never been easier for people to learn a language on their own and the aim of this course is to do exactly that. 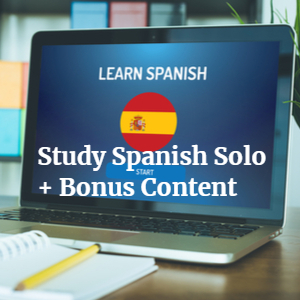 Purchase once, use forever, throughout your Spanish learning journey! If you have any questions about the courses before purchasing one, contact me here and I will answer your questions.